Johns Hopkins University Press, 9781421424200, 232pp. Heart disease is the leading cause of death for women worldwide. Yet most people are still unaware that heart disease is not just a man's problem. Carolyn Thomas, a heart attack survivor herself, is on a mission to educate women about their heart health. Based on her popular Heart Sisters blog, which has attracted more than 10 million views from readers in 190 countries, A Woman's Guide to Living with Heart Disease combines personal experience and medical knowledge to help women learn how to understand and manage a catastrophic diagnosis. 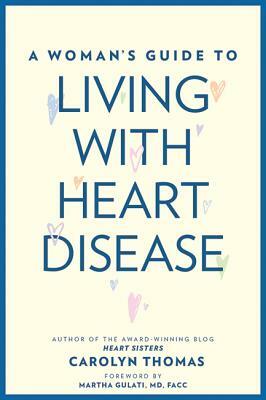 Equal parts memoir about a misdiagnosed heart attack, guide to the predictable stages of heart disease--from grief to resilience--and patient-friendly translation of important science-based findings on women's unique heart issues, this book is an essential read. Whether you're a freshly diagnosed patient, a woman who's been living with heart disease for years, or a practitioner who cares about women's health, A Woman's Guide to Living with Heart Disease will help you feel less alone and advocate for better health care. Carolyn Thomas, a journalist and public relations specialist, is a graduate of Mayo Clinic's WomenHeart Science and Leadership Symposium for Women with Heart Disease. She is the creator of the blog Heart Sisters.